Kids love furniture built just their size! 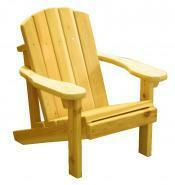 Our Junior Chair is a mini version of our famous classic adirondack. Can be used indoors as well as outdoors for year-round value. Playpal furniture is kid-tough, functional, sturdy and beautiful. Children aged 2-9 will have fun indoors and outdoors with furniture built just for them. It makes a wonderful gift set and will become a cherished family heirloom. The perfect indoor/outdoor bench for kids. Ideal for video games, Saturday morning cartoon-watching, or just playing house. Seats two kids, aged 2-9. Save when purchasing our Kids' Set. Easy for children to move about on, our junior-sized play table is constructed of sturdy western red cedar. Great for snacks and drinks! Whether you call it a seesaw or teetertotter, it's fun for the whole family. Easily adjustable for all ages/sizes, kids and adults alike can enjoy it for hours.��Designed so that it can be shipped economically by package carriers, it is the perfect gift for children, grandkids and the whole family.